Are you at school or university and about to complete your studies, or wanting a change from your normal 9 to 5 and considering a career as a pilot in the Australian Defence Force? There are quite a few things you can do before you apply to the ADF, as well as during the recruitment process, to prepare yourself to stand out. If you are wondering how the ADF selection process works, where to get started and how to prepare for the actual interviews and tests, then read on. 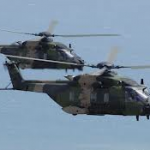 There are currently 12 different flying roles for fixed wing pilots and 6 different flying roles for rotary (helicopter) pilots within the ADF. What most people don’t realise is that the Air Force, as well as the Navy and Army offer flying roles. They range from being and Air Force F/A-18 Super Hornet Fighter Pilot to a Navy MH-60R Seahawk or Army MRH-90 Taipan Helicopter Pilot and pilot jobs you may never have heard of, such as flying the Air Force’s modified A330 Airbus tankers (KC-30A MRTT) and conducting air to air refuelling or long range surveillance on an AP-3C. Another not-so-known fact is that most people think that it’s “too hard” to become a fighter pilot and self-eliminate before they even try out for it. Put simply, becoming a pilot in the ADF is more achievable than you think. Email us today to request a Free 4 page Pilot Career Fact Sheet outlining all aircraft types and job descriptions the ADF offers. Pinstripe Solutions specialises in Behavioural Interview Training, preparation for the OSB Panel interview, resumes, cover letters and online applications. We also offer Flight Simulator training with RAAF and Commercial Airline pilots as well as tailored ADF Aptitude Practise Testing through our sister company Pilot Recruitment. To find out more, please don’t hesitate to email or call 0416 272 449. *The training and information/advice as described above or provided during our coaching and training sessions, in no way provide a guarantee of entry into the Australian Defence Forces. Pinstripe Solutions is in no way associated with or endorsed by any Government or Industry body.